From the left Glorisabel Garrido Thompson-Flôres, Cristina Pinho, Alex Imperial, Rachid Felix, Sissel Hodne Steen and Juliana Gottardi. 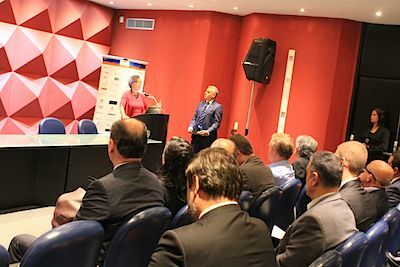 The NBCC AGM on March 26, 2019 also featured a guest presentation by Cristina Pinho, Deputy Secretary of Oil, Gas, Energy and Industry of the State of Rio de Janeiro. The new president presented interesting new visions for the chamber, among them plans for an OTC networking event similar to the ROG dinner. 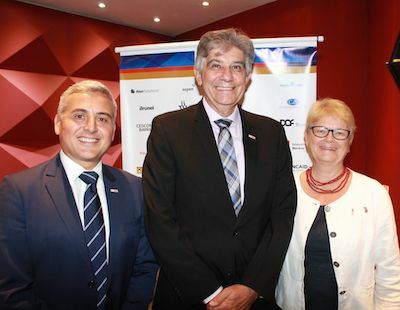 The 2019 Annual General Meeting took place in Botafogo, Rio de Janeiro, and Alex Imperial, DNV GL´s Vice President South America, Oil and Gas, was elected the new president of the chamber. 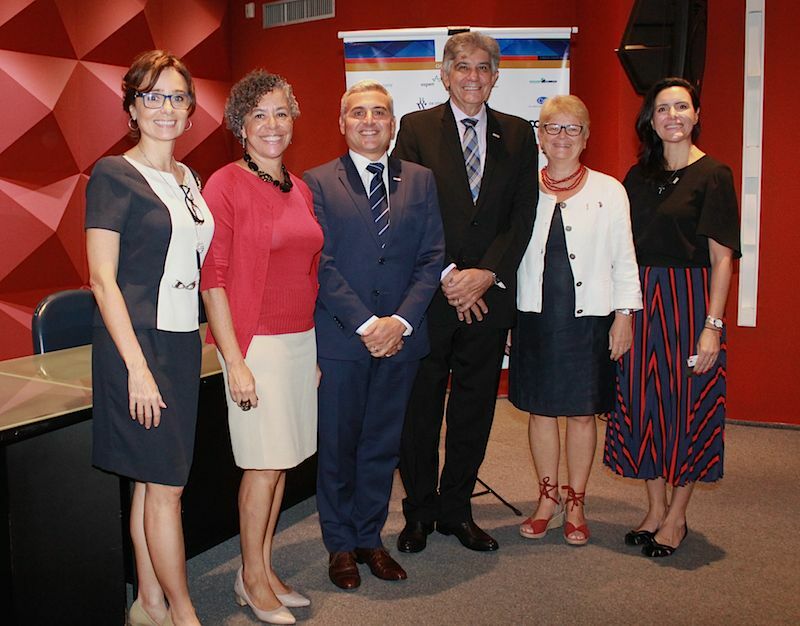 A new board was also elected for the period 2019-2020, and a new strategy aiming to expand the outreach of the Norwegian Brazilian Chamber of Commerce, was presented. The ambition is now to enhance NBCC´s position even further the years to come, expanding the outreach and ability to influence and reach key stakeholders, using Norwegian experiences and traditions as leverage in the process. “Rachid Felix has played a central role in fostering dialogue, and it has been inspiring to work with you,” newly elected president Alex Imperial said about his predecessor. Here with the Consul General. «It is an honor and privilege for me to accept the position, and I am prepared to contribute to fulfill the ambitions of the chamber. This is an important moment for us, where a new landscape is driving the need for increased collaboration to protect the achievements we have made and continue to push the agenda to promote a stable and predictable business environment. 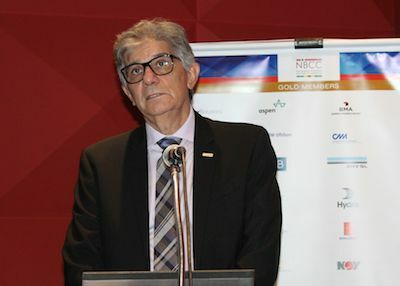 We must forward our ideas and interests and collaborate with key stakeholders to drive change, and assume a more active role, taking the chamber to a higher level», Alex Imperial said in his address to the annual general meeting. The new strategy is based on four pillars: Intensifying collaboration with Team Norway, with industry associations and with other chambers, broadening the role of the working committees, a closer interface with the public sector and strengthening the structure of the chamber. A new board was elected and new members of the board are Mr. José Elias of Teekay and Thomas Hultin of Yara. 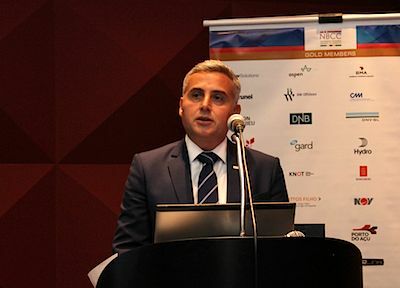 Øistein Johannessen of Equinor is the new VP of Rio de Janeiro while Juliana Gottardi of PNST continues as VP in São Paulo. Before leaving the presidency to Alex Imperial, Rachid Felix presented the annual report and treasurer Johanr Olsen presented the financial report. Mr. Felix also listed the main activities of the last period, where the highlight was the successful NBCC Rio Oil and Gas Networking dinner. «It has been a good year, despite the crisis, and we now count 128 associates, an increase of eight since last year. Our cash result is above break-even», he said. The budget for 2019 was presented, a budget that mirrors the ambition to improve the chamber´s structure and other steps that the board believes will add value and create even more benefits to the associates. 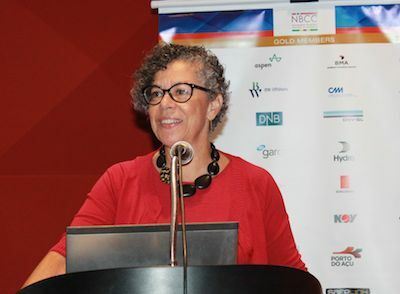 Former Petrobras executive Cristina Pinho was invited to give the keynote to the AGM this year. «Rio de Janeiro is and will remain the energy capital of Brazil, and the state administration has accepted the challenge of making our state a key player and key energy provider of our country. The last years we lost the close connection with the industry, with associations and related agencies, but we are now working to close the gap and improve relations, looking for synergies and solutions that all parties will gain from. Our main focus today is natural gas and gas infrastructure, but we are only in the beginning of our work», Ms. Pinho said. Her secretary is a sub-secretary of the State secretary of Economic Development, Employment and Income Generation, and promoting and attracting investments, creating revenues and jobs, is the main objective. The Sub-Secretary of Oil, Gas, Energy and Industry provides institutional support and information to the industry, articulates actions and can also mobilize resources inside the state government. After less than three months in office, Cristina Pinho expressed optimism in her presentation to NBCC on March 26. New bid rounds will represent R$ 1 trillion in investments until 2030 in the state of Rio de Janeiro, with R$480 billion in government take, R$ 13 billion per year. More than 50 new platforms will go onstream. In addition there are 20 mature fields available, and the state is working to increase the number of companies interested in investing in them. Steps have already been taken to reduce royalties to make the mature fields more attractive. Cristina Pinho focused especially on the development of gas infrastructure in the state of Rio and the projects for new port terminals. In 2022, operations will start on Marlin Azul, the first project to win a pre-salt gas powered auction. A natural gas processing plant will be built in a new port terminal in Macaé. In São João da Barra, a GNA thermal power plant with a 3 GW installed capacity, which will be the largest power complex in Latin-America, is under construction. «This complex is very important for the development of Rio de Janeiro, also when it comes to infrastructure. We are working hard with the involved players in order to clarify all related issues, like existing contracts with current gas distributors», Ms. Pinho said. The state secretary also presented plans for so called ZPE-s, exporting processing zones where tax benefits are granted to companies installed here, and R$ 11 million is being invested in such a zone in São João da Barra. Special import rules will apply, and the state is working to attract investors and companies to install here. The petrochemical complex Comperj is also fundamental in the state´s plans when it comes to improving the current infrastructure for production and processing of natural gas. In parallel, the state is looking into the aeolic and solar energy potential of the state as well as the biogas potential, and is developing a strategic map of potential areas where the potential for renewables is particularly interesting. «This could be an important contribution to a low carbon energy. But today, our main focus is on natural gas», Ms. Pinho said. 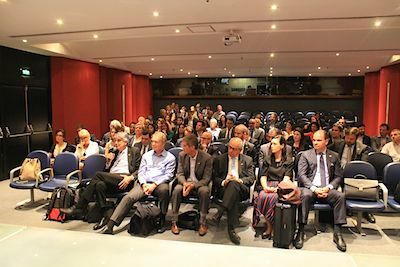 Her presentation was followed by a Q&A session, and NBCC president Alex Imperial made it clear that the state of Rio can count on NBCC´s support to prepare Rio de Janeiro for the next growth cycle. For Cristina Pinho´s full presentation, click here. 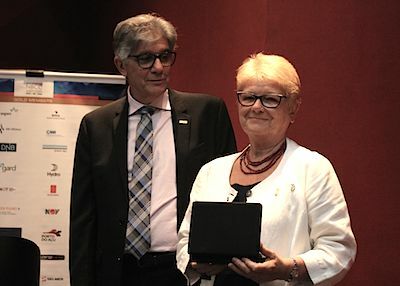 Sissel Hodne Steen is returning to Norway and was awarded a token of appreciation from the chamber. The AGM was followed by a networking brunch. «It has been an interesting journey and a real privilege for me to work so closely with the chamber. NBCC have also demonstrated your appreciation for our close collaboration and for this I thank you» the Consul General said.